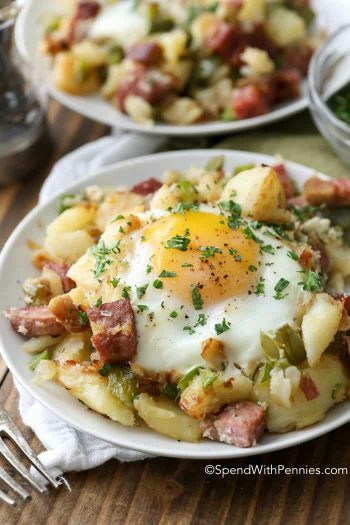 This Corned Beef and Cabbage Slow Cooker recipe packs all of the deliciousness of corned beef into a meal that cooks itself. 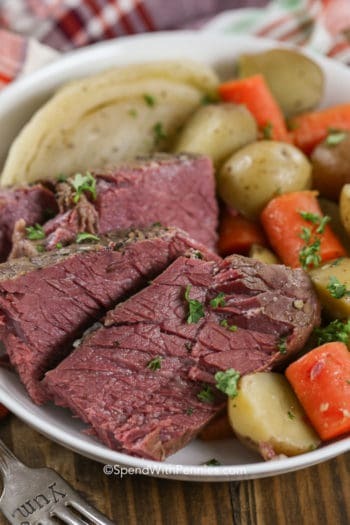 Tender Corned Beef and cabbage, carrots, & potatoes all cooked to perfection in the Crock Pot makes for an effortless meal. Talk about a stroke of good fortune on St. Patrick’s Day or any day of the year! The Best Recipe for Corned Beef and Cabbage! I’m often asked “What is the best recipe for corned beef and cabbage?” and I have to admit that I’m partial to this slow cooker recipe! 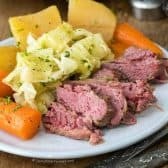 This Crock Pot Corned Beef & Cabbage recipe is best cooked in a 6QT slow cooker (or larger) as it really fills the crock. 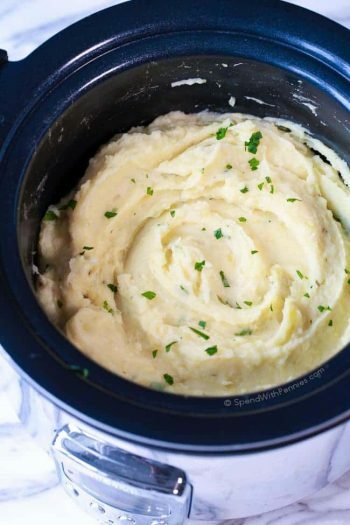 Add your potatoes a few hours into the cooking process, so that they cook for about 5-6 hours, this will keep them from getting mushy. Add the cabbage 2 hours before you plan to serve the meal. If you’ve never made corned beef before, it’s actually easy to make but it is important to keep in mind, corned beef (and beef brisket in general) is a tough cut of meat until it is properly cooked. 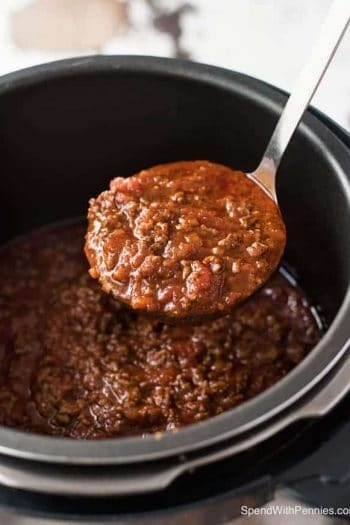 If it is tough, it simply hasn’t cooked for long enough, leave it in the slow cooker and give it a little more time. Before cutting you’ll always want to allow your corned beef to rest as this is the secret to a great cut of meat. Once rested, cut against the grain to result in corned beef that is juicier, fork tender and more flavorful.. There are a few really important tips you need to be aware of when making any brisket recipe (including this crock pot corned beef recipe). 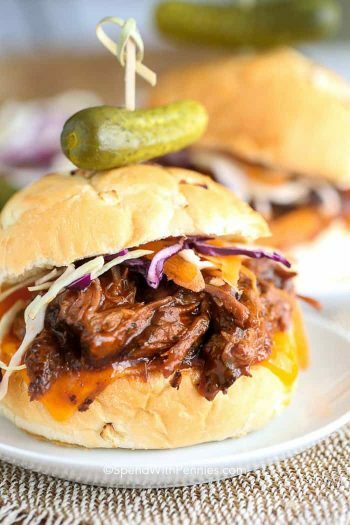 Low & Slow: Brisket is a tough cut of meat and to get the very best results, it should be cooked low and slow. 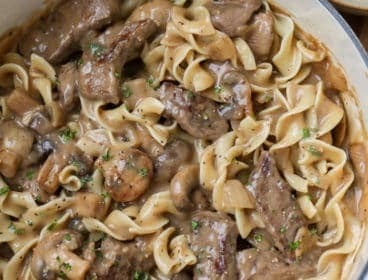 In this recipe, I use the slow cooker and I make sure to use the low setting. Give it time: This goes back to “slow”… this recipe calls for 8-10 hours and mine usually takes closer to 10. If your corned beef is tough, there’s a good chance it didn’t cook long enough. Rest your meat: As with most meats, allow it to rest for a few minutes before slicing. Cut across the grain: Brisket has long fibrous strands so it is very important to cut across the grain. 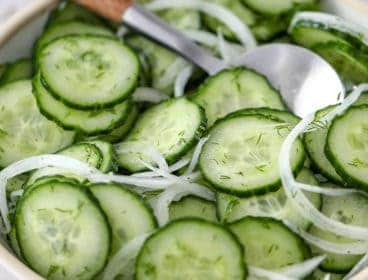 In fact, this is one of the most important parts of this recipe!! What Spices go on Corned Beef? Corned Beef is beef brisket which has been cured and brined. When sold it often comes already seasoned or with a seasoning packet. The seasonings include beautifully fragrant spices such as whole allspice, peppercorns, mustard seeds, coriander to name a few. If your corned beef doesn’t have the spices you can add a couple of tablespoons pickling spices, a few pepper corns and a bay leaf. 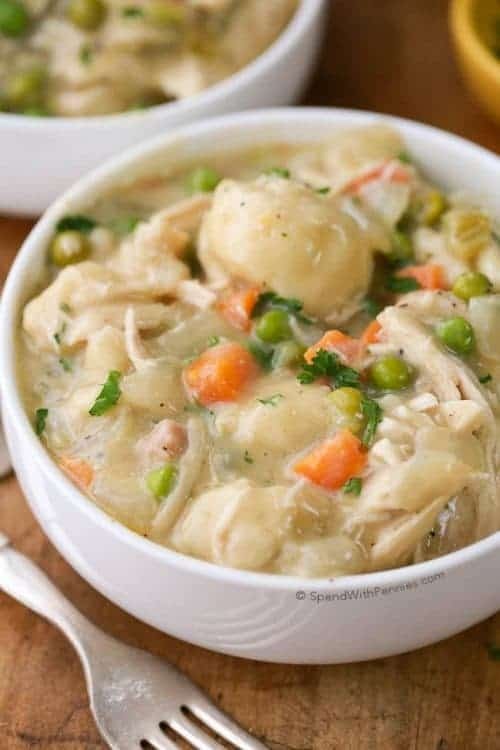 Bundle them up in cheesecloth and toss them into the slow cooker. 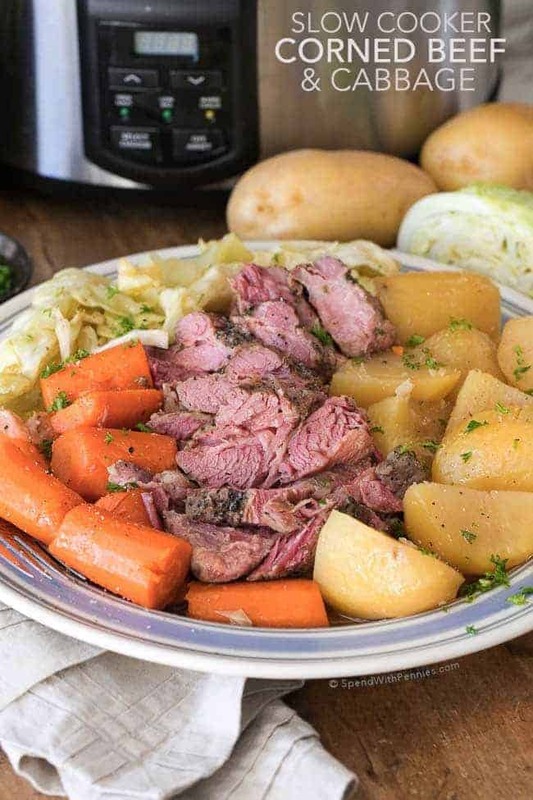 St. Patrick’s Day is the perfect time to enjoy an easy slow cooker recipe like Corned Beef and Cabbage. 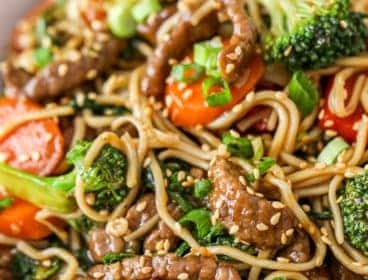 Using a crock pot makes this meal almost effortless! 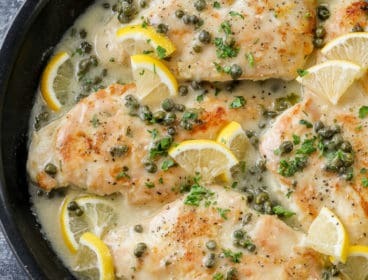 recipe creates a one of a kind, delicious dinner that your family will love! 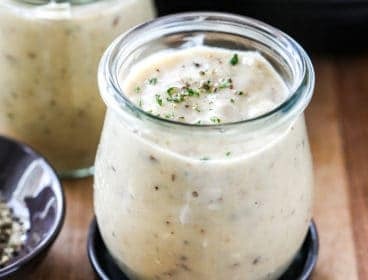 Since it’s already a complete meal, we most often serve it with 30 Minute Dinner Rolls or Easy Homemade Buttermilk Biscuits and a simple side salad. 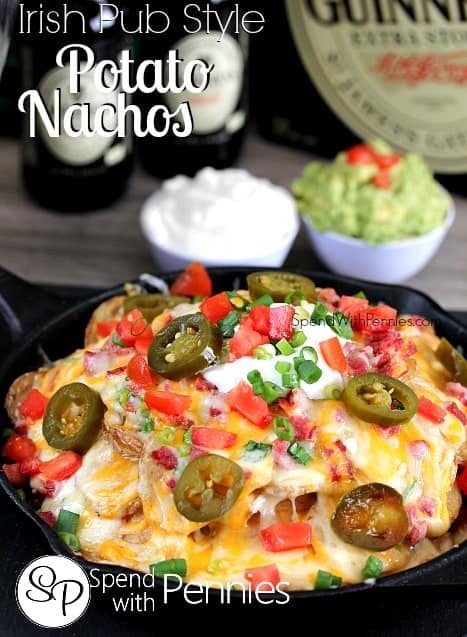 I have a feeling you want to make this year round! 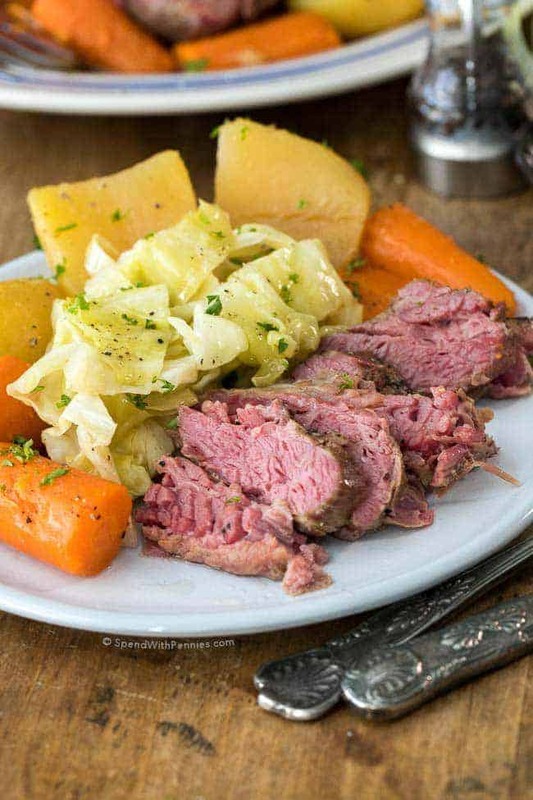 This easy corned beef and cabbage recipe contains a complete meal all in one, tender corned beef, potatoes, sweet carrots and cabbage. 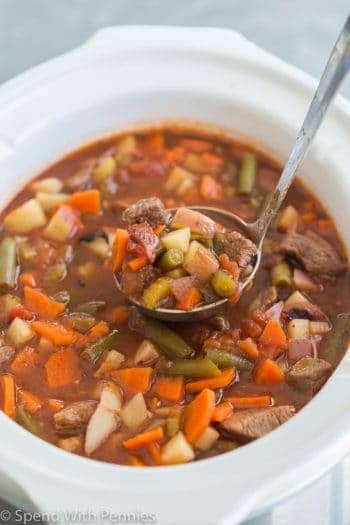 Lamb Stew (Irish Stew) – So rich and flavorful! How to Cook Corned Beef (Stove Top) – Stove top version! Irish Soda Bread – Perfect side, great for soups and stews! 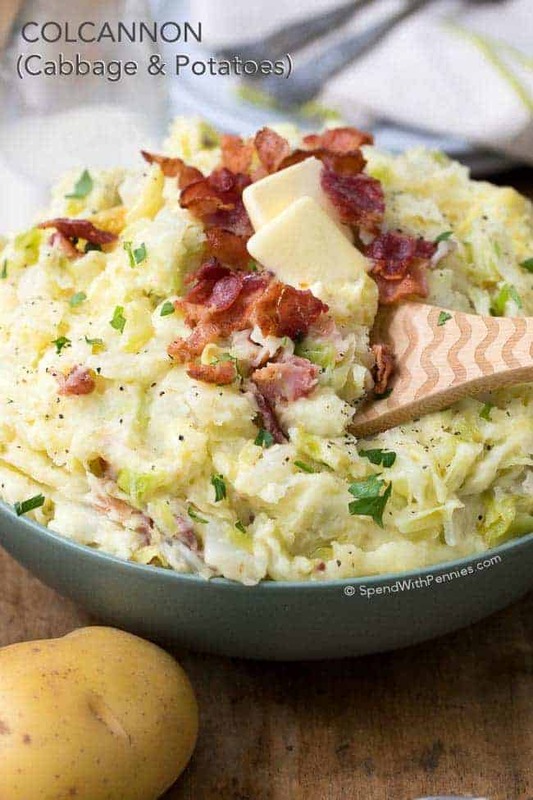 Colcannon Recipe (Cabbage and Potatoes) – The ultimate comfort food! 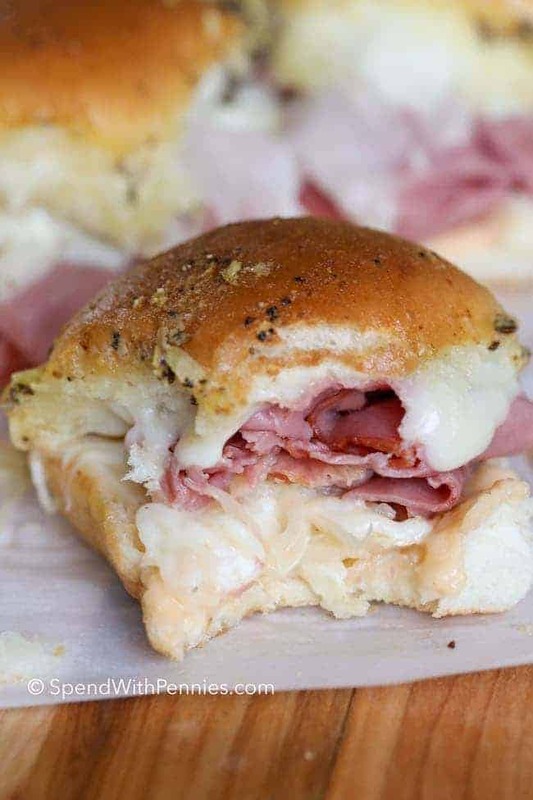 My Favorite Reuben Sandwich – Homemade is best! 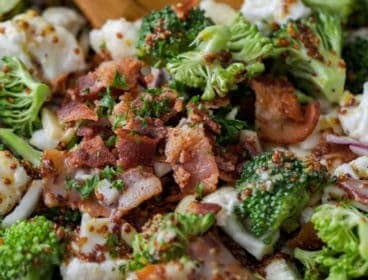 This Corned Beef and Cabbage Slow Cooker recipe packs all of the deliciousness of corned beef into a meal that cooks itself. Talk about a stroke of good fortune on St. Patrick’s Day or any day of the year! Once cooked your corned beef should be tender (mine usually cooks closer to the 10 hour time). Appliances can vary, if your corned beef is not tender, it likely needs to cook longer. It is essential to cut your corned beef across the grain.